These stylish all-purpose cotton twill saddle pads feature a spiral quilt pattern, contrasting binding and multi-color rope piping for a look that is elegant and sophisticated. 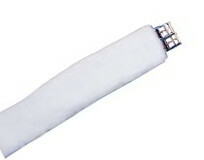 The dual layer inner fill offers the advantages of both a foam and fibre fill. 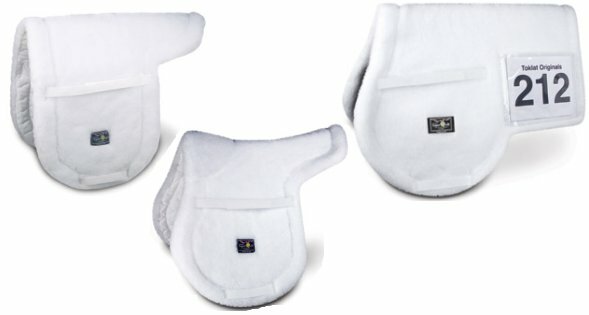 The base layer, closest to the horses back consists of 300 grams of polyfill insulation that effectively works to move sweat and moisture away from the skin. The upper layer consists of 15mm high-density foam to further cushion and protect. Dressage Pad Available in: Burgundy, Navy, White, Black and Dark Green with same binding and piping as mentioned above. 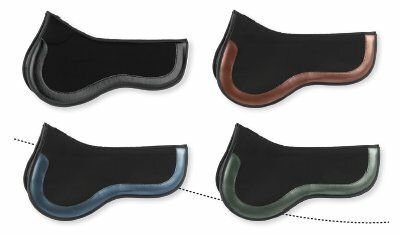 Our Non-Slip Hunter Pad is the best solution for keeping your saddle in place without over-tightening the girth. Designed with removable T-Foam inserts, this hunter pad stays in place while absorbing 97% of shock and vibration under impact. It conforms to your horse’s back to provide a custom fit, even on hard-to-fit horses. 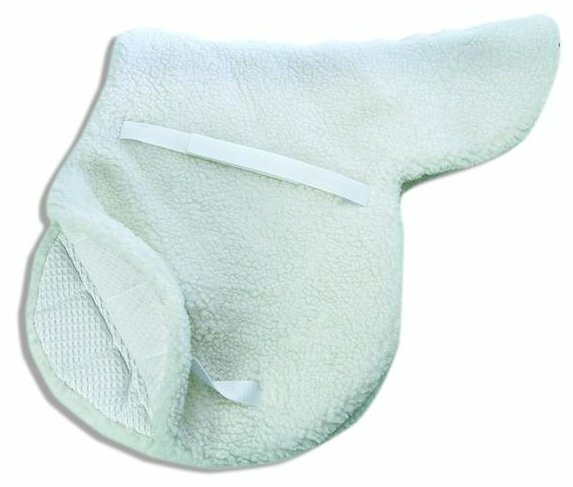 Our non-slip pad is designed with minimal padding in the panels to provide close contact at the leg. The grip layer provides maximum breathability, while the fabric on the wither is soft and rub-free. Designed to absorb extreme impact, the ImpacTeq Saddle Pad provides the ultimate comfort for both horse and rider. The ImpacTeq core acts as a protective shield, reducing shock and distributing pressure points. It molds to the horse and saddle, then recovers to the original shape after each use. 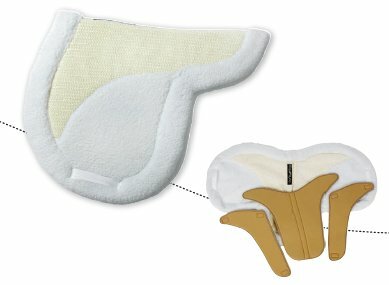 The non-slip strips keep the pad in place, while the contoured shape frees up withers and spine. 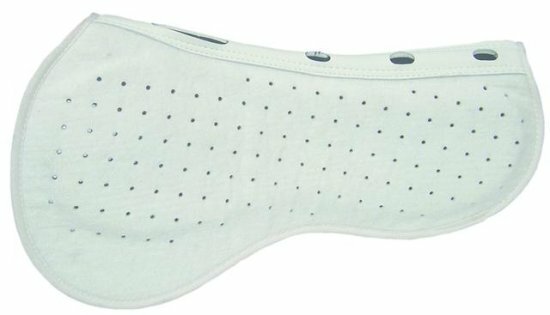 The ImpacTeq Half Pad is antimicrobial, highly breathable, non-temperature sensitive, easy to wash and quick to dry. With all these benefits plus colorful trim options, it’s hard not to play favorites with this one. 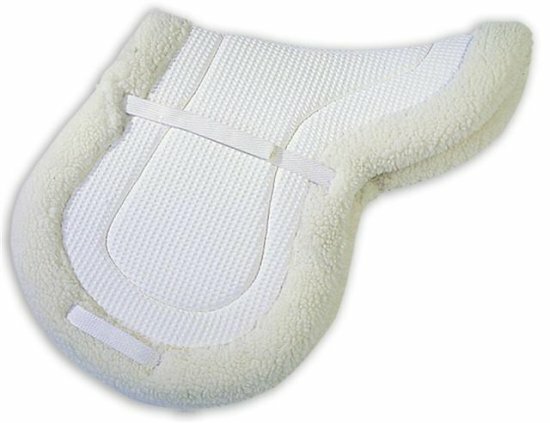 Best for saddles under 16"
Fleece topside with waffle cotton underside. Medical memory foam on either side of the spine enhances the function of the saddle gullet, allowing your horse a place to put his backbone and use his structure properly. Shock-absorbing memory foam will provide a great massaging action as it bounds back in anticipation of the next impact. 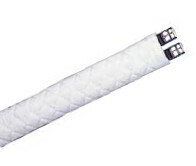 Seat bone cues are easily transmitted for disciplines from dressage to jumping. Lightweight....weighs only one pound. 23" x 22" tapering to 15"
Thicker at the front and gradually tapering to the rear. Lifts the saddle at the wither to re-establish balance and correct position. Allows skeletal relief along the gullet and maintains the benefits of shock absorption, weight distribution and improved saddle fit and comfort. Made from 100% polyester pile fabric specifically designed for saddle pads. Special fiber denier and pile heights are combined to make a superior quality, high density pile. This fabric makes a product that provides excellent protection and durability, while allowing for close leg contact. It will retain its quality look and performance throughout heavy use and many washings. Made in the USA. EASYCARE: Machine washable and dryer safe. White only. 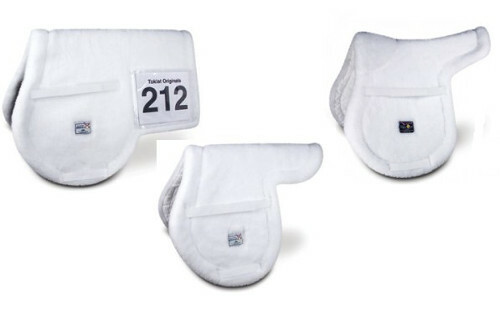 Competition pads feature a handy, removable, clear number pouch secured by Velcro, this pad is a required piece of equipment for many English competitors. The High profile design allows for wither relief. Standard seat size is 17". 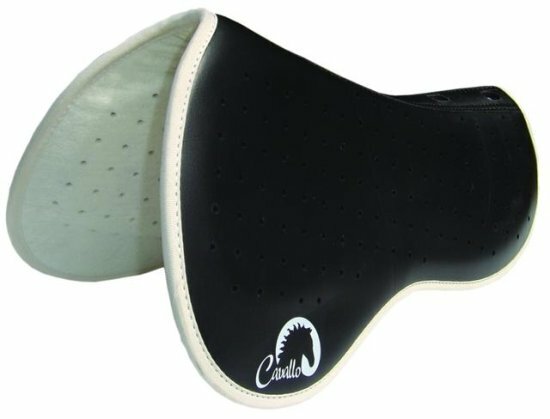 Childs pads are designed to fit most children's General Purpose saddles (15"). A great combination of fabrics make this an outstanding product. High quality Medallion polyester fleece top is combined with a thick layer of polyester filler quilted to a brushed 100% cotton fabric. Unlike saddle pads that use foam fillers which retain moisture and heat, the SuperQuilt will wick away moisture and ventilate constantly to keep your horse's back cool. Made in the USA. EASYCARE: Machine washable and dryer safe. White only.